When you’re starting out as a WordPress designer, it’s tempting to start spending money on anything shiny that might make your job easier. The mere act of investing in a book, software license, or online course can make you feel like you’ve accomplished something just by virtue of your purchase. (Ask me how I know.) But it’s smart to hold off and spend your money where it can best go to work for you in providing value to your clients. I’ve talked before about five favorite tools for freelancers, and now I’d like to focus on five tools specifically for WordPress that I’ve found to be worth the investment. Each of these is a premium plugin or other tool, and these are affiliate links. That means I receive a small commission, but I share out of love, not greed. Seriously – I wish someone had recommended these tools to me when I was getting started. Could have saved a lot of money on shiny things. WP101 makes life easier for everyone. For you, for me, for your clients. It’s a series of professionally produced video tutorials on the use of WordPress, and it covers the very basics (how to insert an image into a post) up to the more complex tasks like installing plugins and themes. As a designer/developer, you can get a monthly subscription for just $19/month that will allow you to install the videos on unlimited client sites. The easiest way to use this plugin is to set up the videos either on a demo site or on your client’s site while you’re still in the development process. It saves you and your client time, because your client can be working through the tutorials while you’re building a fabulous new website. Check out a sample video at WP101Plugin.com. When I first decided to redesign my own website, I happened upon the Genesis Framework for WordPress because I was a regular reader of Copyblogger and I’d seen it mentioned there. The framework allows me to quickly and efficiently customize a WordPress site based on one of StudioPress’ many different themes or to easily build my own child theme. 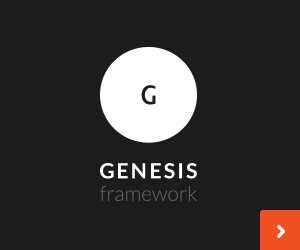 The best thing about the Genesis framework—and this is particularly helpful for new freelancers—is the community of developers, designers, and users. The StudioPress support forum is a great place to go when you’re ready to try something new and want to check ahead of time to make sure it will work, or you can’t quite get things set up the way you’d like. There’s also one-on-one support available for basic theme questions. I’ve learned so much from the Genesis community and have tremendous respect for the various developers and designers who use it. If you’re fairly new to working with WordPress, this is a great place to start. The framework itself is $59.95, or you can get an individual theme plus the framework for $79.95. When I was starting out, I chose to invest after a few months in the Pro Plus All-Theme package so I’d have lifetime access to all of themes (current and future) that StudioPress offers. I like having all of the themes at my disposal so that if I see something cool that one theme includes, I can check it out and figure out how to implement something similar as part of a theme for a client. Yes, it’s a lot of money to plunk down, but I think it’s worth it. If you just want to start out with the framework and one theme, you can then upgrade to the full package later with your initial purchase credited towards the price of the package. Maybe that’s too blunt. But—you really will not regret investing in a Gravity Forms developer’s license. Anything fancy-schmancy you need to create, form-wise, for a client? You can do it with Gravity Forms. Simple ordering of products, managing an email signup form, registering members of a group, creating a poll, it slices, it dices, it fricassees. Get. Gravity. Forms. A developer’s license is $199/year and includes tons of add-ons that will transform you into a form-creating superstar. My goodness, are there a lot of slideshow plugins out there. So many options. It’s responsive, so it doesn’t go nutso on a moblie device. It’s easy to figure out, so clients won’t be confused when they try to update their slideshows. It was recommended to me by my super-WordPress-genius friend Brandon Kraft, so I know it’s good stuff. You can see an example of Soliloquy in use on this slideshow. A developer’s license is good on unlimited sites, forever and ever, and it’s $99. (An individual site license is $19.) The developer of the plugin comes out with frequent cool add-ons and provides great support. 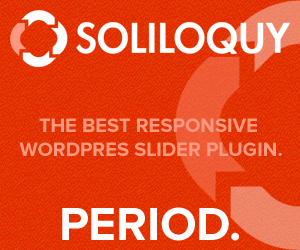 I’ve tried other slider plugins, but this is the one I recommend. Yeah, you heard me! 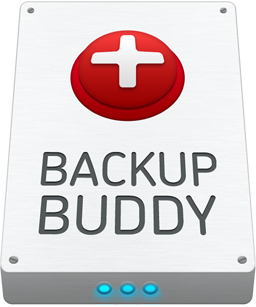 Backup Buddy! Heh. Just a little non-funny database backup plugin humor there. Back up your sites and your clients’ sites – you can create a backup manually before making changes to a site, and schedule daily (or however frequent) backups to the storage location of your choosing – including new cloud storage included with the cost of the plugin. Restore a site if something goes wonky. Move a site from one place (wherever you’re developing the site) to another (wherever your client is hosted). SO easily. It’s got other features, too, but those are the biggies. A developer’s license is $150/year and lets you use it on unlimited sites. Your clients will love knowing that you’ve set up their sites to be automatically backed up, and you’ll love how easy it is to set things right if something goes awry. Related: Chris Lema makes an excellent argument for why plugin prices are too low. Another reason to invest in these tools now. And, as Chris argues, if you think about it in terms of time you’ll save and value you’ll bring to your client, you’ll make your money back in short order using these and other high-quality WordPress plugins. This post is part of the Five Favorites linkup hosted each week by my lovely friend Hallie Lord. 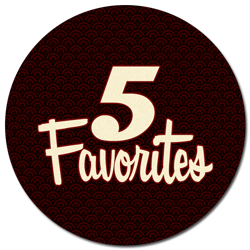 Next time, I’ll be talking about 5 Favorite FREE WordPress plugins, so stay tuned! Thanks for the mention, Dorian! Proud to be listed among these stellar, “must-have” tools. Each of these have saved me countless hours as a WordPress developer, and I recommend them every chance I get. Chris is right… every plugin on this page is worth far more than what they charge! WP101 ftw. One of the best tools if you’ve lots of customers. It consumes lots of time to educate every customer and when it takes too much of your time, you’ll lose the time to spend on another project (customer). I hate that, thanks WP101 for save my life. I prefer the GENESIS over other. Its provides me lots of customizable option so that I can create the home, the way I want.